Han pasado ya tres meses desde que escribí una entrada en la que os contaba que Arnidol sorteaba entre las personas que se apuntaran a su página, un viaje al Parque temático de París. Arnidol ya ha regalado este viaje a otras familias. Los afortunados han podido disfrutar de un fin de semana con sus personajes favoritos de animación. Podéis ver las imágenes de su experiencia en la página web de Arnidol (www.arnidol.es). Muchas felicidades!!! Deseo que disfrutéis muchísimo. Tenemos muchas ganas de poder ver alguna imagen de vuestra experiencia. Estoy segura de que no olvidaréis llevaros vuestra barrita mágica. Gracias a ella y al poder antiinflamatorio y analgésico de la Arnica y el Harpagofito, el golpe de mi Bichito estas vacaciones se quedó en un fuerte golpe y un moratón en la frente. Y es que llevarlo siempre encima nos ayuda a aliviar a nuestros pequeños de esas caídas que no podemos evitar. Arnidol es muy fácil de usar, basta con extender un poquito de su stick por el golpe y dejar que sus componentes actúen. 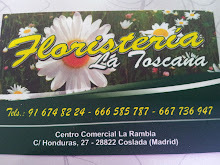 Si todavía no tenéis el vuestro y queréis adquirir uno, podéis encontrarlo en farmacias y parafarmacias. Y ahora, a disfrutar en familia!!! M@rt@, es genial, la verdad es que todas los papás deberíamos tener uno!!! YahoraPapas, pues si es un trasto es importantísimo que lo lleves encima y utilizarlo ante cualquier golpe que se de la peque. Hai all, Thanks for sharing here. This is nice article. I have never seen in this type of blog because all relate information about family. Family is everything if you have parents who love and support you even during the sturdy times. You can count on them to give you help even when you may have upset them. By being role models, they can teach you how to live on in a world that is becoming more ready for action and selfish. A family is far more than just a social group consisting of two parents and their children living as one as a unit. It is more than peopling who just exist as one and who see each other every single day. The family is everything we have. The family is the meaning of life. Family, the word itself is enough for a person to smile. Because Family is a place where you are loved totally, you are never cheated, you can be yourself, there's no one to judge you, and they understand you. mother love their children's more I think nothing can compare a mother love. A mother’s love in my view is the next to God’s love for us. Mother’s love is total even when we are hurt most by our children we never stop loving them and praying for them. A mother’s love is grave in a child growing up leading a path to kind God’s love. A mother never gives up on her child, a mother for all time wants the best for her child, a mother wants them to have a life maybe not even they set up with lasting and deep joy and happiness, a mother wants her child to be healthy physically, emotionally and never stops praying for this and doing her best to be an example for them, even if she fails at times. But in this era most of the children depend up on internet. No one spend to time for parents. Internet get from most of positive effects of children.